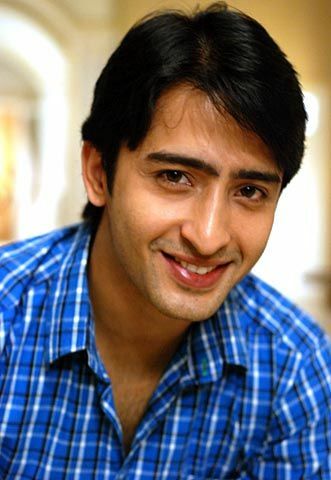 Shaheer Sheikh is an Indian TV actor and model who get into this profession from a lawyer and got fame in this field when casting for the serial "Kya Mast Hai Life" where he essayed the character of Vir Mehra. Later on, he portrayed the role of Anant Bajpai in the TV soap "Navya..Naye Dhadkan Naye Sawaal" and bagged more fame from this due his class and superb acting. After these roles, he portrayed himself as Arjuna in the historical drama on Star Plus. Right now, he is working in the TV series called "Kuch Rang Pyar Ke Aise Bhi" on Sony television along with his female counterpart Erica Fernandez. Shaheer Sheikh was in Bhaderwah District of the Jammu on 26th March 1984 into a Muslim family and went to Hari Singh Higher Secondary School for his primary education. After the completion of his school life, he pursued his degree in the fields of Law and earned the degree of L.L.B from Bharati Vidyapeeth of Pune ( Maharashtra ). After his degree, he started a company based on event management but eventually decided to jump into the profession of modelling and acting. Because of his charming looks and the decent personality, he bagged several modelling assignments soon. Finally, he jumped into the fields of acting and initiated his acting career from the TV serial "Sanya" where he played the role of Arjun Shekhawat. Apart from modelling and acting, he is also an accomplished photographer. He also worked in an Indonesian film "Turis Romantis" and also made his presence in an Indonesian show "Cinta di Langit Taj Mahal" for two seasons. He also worked in a music album called "Ek Ladki Shabnami Jaisi" in 2012 for the track "Teri Palkey". In reports are to be believed, Shaheer in his early days was sharing a relationship with the popular Indonesian singer named Ayu Ting Ting for few months but later broke up. 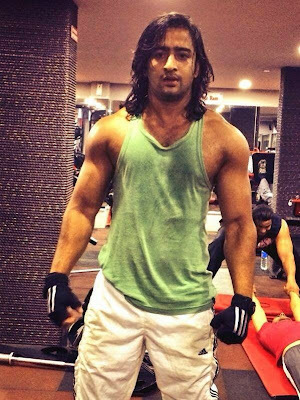 Shaheer is a great admirer of love and also believe marriage as a great institution. But he thinks that he must fall in a true love with someone before making the decision of getting married. b ) Also won the Star Parivaar Awards for the same category and serial. c ) Also nominated for Indian Telly Awards and Indian Television Academy Awards for best actor in lead role.